...This game was YEARS before the 918 incident, though...? It was also only the second game, not counting arcadem@s... So it's not like they went from OFA/imas2 to SP or something. Calling it "cheap" or saying it's like an unfinished beta isn't really fair. I think part of your problem with the game is that you're judging it based on OFA standards instead of 2008 idolmaster standards. SP is a relatively old game; the series is huge and almost a decade old now, but it was only a few years old when SP was announced. It was established but not nearly as huge a juggernaut as it is now. I mean, if you don't like SP, you don't like it, but you should judge it on its own standards instead of 2015 standards. Regarding DLC, SP had some awesome and cute outfits like Takane's Punkish Gothic and the wolf girl costume. But then you have... Like... That ugly plugsuit extend. I feel like they took quite a few gambles with the DLC and it paid off most of the time, but it also resulted in some really out-there stuff. It also offered the best selection of songs in DLC. Just best DLC in general. This. 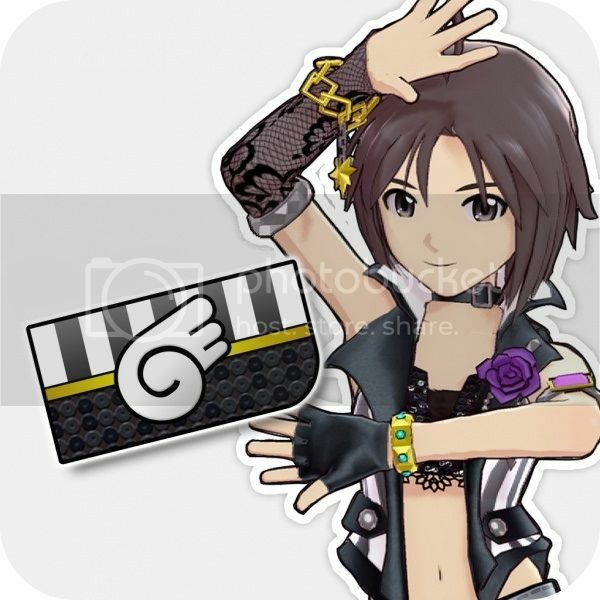 Heck, if you include the character songs (that weren't DLC unless you wanted other idols to sing 'em), the game had the best lineup of songs in any Im@s game without slappin' down cash. SP is like the perfected form of everything before Second Vision. My opinion, SP is the best game in the series I've played. But I haven't played OFA yet 'cause I'm a horrible fan. I agree with this post entirely. Minus the OFA part, I've played it The scheduling and lessons were perfection at this point. The idea of a rival agency gave the story mode great momentum. And the multiplayer/free auditions were a super fun feature. Was it that old? Well... I think there's no reason for me to say it is a bad game, then. I'll take my words back. I have to admit that I judged SP by today's standard, since my first game was OFA, maybe my vision towards this series was wrong. You're not completely wrong though. Back then, we were all bickering over the lack of lip syncing, something Project Diva nailed just a couple months later. If it weren't for that, I would honestly consider SP to be the absolute best in the entire series, and would kill for an HD remaster. ...This game was YEARS before the 918 incident, though...? It was also only the second game, not counting arcadem@s... I think part of your problem with the game is that you're judging it based on OFA standards instead of 2008 idolmaster standards. You're forgetting Live for You. And SP came out in 2009. Also as Scotty said my only problem with SP is the lip syncing. 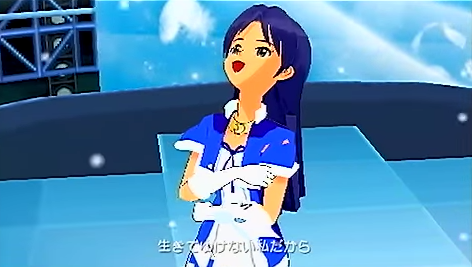 Chihaya's open mouth at the end of Aoi Tori makes me laugh every time. Who do I have to kill to get this? Everyone except Bamco of course. Speaking of HD remasters I wouldn't mind a 10th anniversary rerelease of one of the older games. Reminded me of the mobile game. Looks and plays like an amateur flash game. For all the SF's unangaging two-button (!) gameplay and other shortcomings, it had at least SOME polish, which made it a bit more enjoyable in the end.